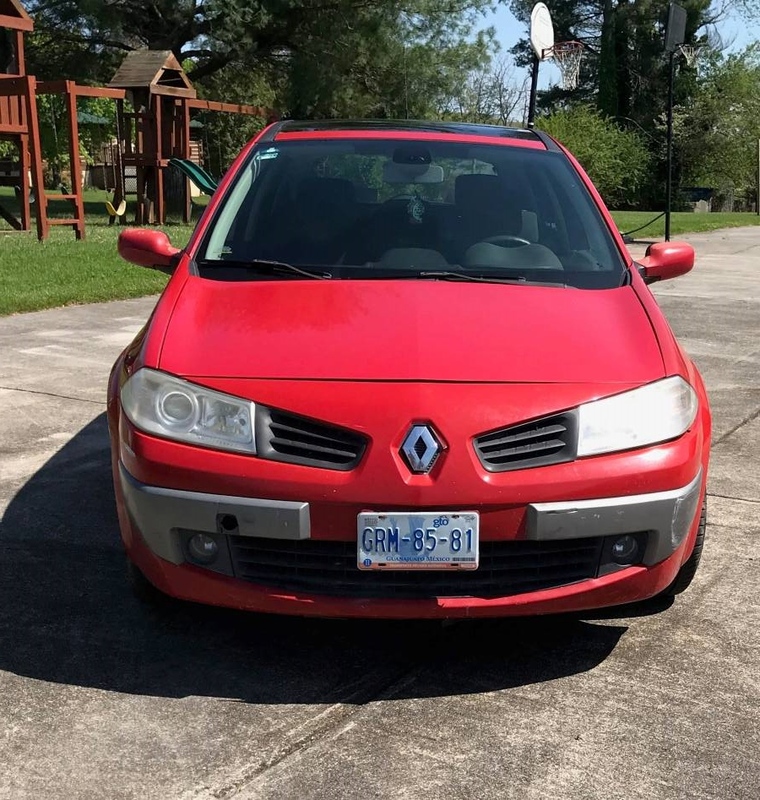 Just A Car Geek: 2007 Renault Megane - It's In The U.S.
2007 Renault Megane - It's In The U.S.
We haven't been able to buy a French car in the U.S. for quite some time. Citroen bailed in the early seventies. Renault left in 1987. (You could buy a couple of Renault designed cars - badged as Eagles - for a few more years.) Peugeot tried to hang on, but even though they were selling a very nice car - the 405 - they packed it in in 1991. 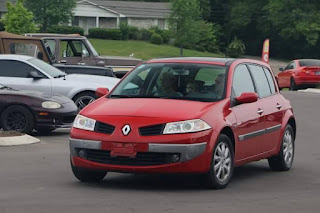 If you look back on this blog you will know how much I like French cars. They had personality. They had a unique style. They were, well, French. The Megane never officially came to this country. It was introduced in 1995. It is still being built today. This is a second generation Megane. Most of the Megane range had somewhat "normal" styling. Except this one. This is a Megane hatchback. It has a rear end that only could have been designed by the French. According to the seller, this car came to the U.S. in 2010 from Mexico. The owner passed away and it sounds like the car sat for some time with an "electrical problem." That was eventually sorted out and the current owner has put 2000 miles on it since. The only thing wrong with it now is a broken window regulator. Unfortunately, he only includes 2 pictures in his ad. The seller says "This car was part of the invitational display at Carlisle Import and performance. While there it won a award in its class, participated in the autocross and was featured on Jalopnik." This car is 11 years old. In the US, a non-complying car needs to be 25+ in order to legally import it. Titling, registering and insuring this car could be a nightmare. Not to mention that the feds could confiscate it at any time. Still, it's $1900.00! What else can you get that is this unique for $1900.00? You can't even get a good set of wheels and tires for that price. If you have the guts (and knowledge) to buy a car like this, this is a hell of a bargain for a car that is quite possibly the only one in the U.S. Located in Lenoir City, TN, click here to see the Craigslist ad.